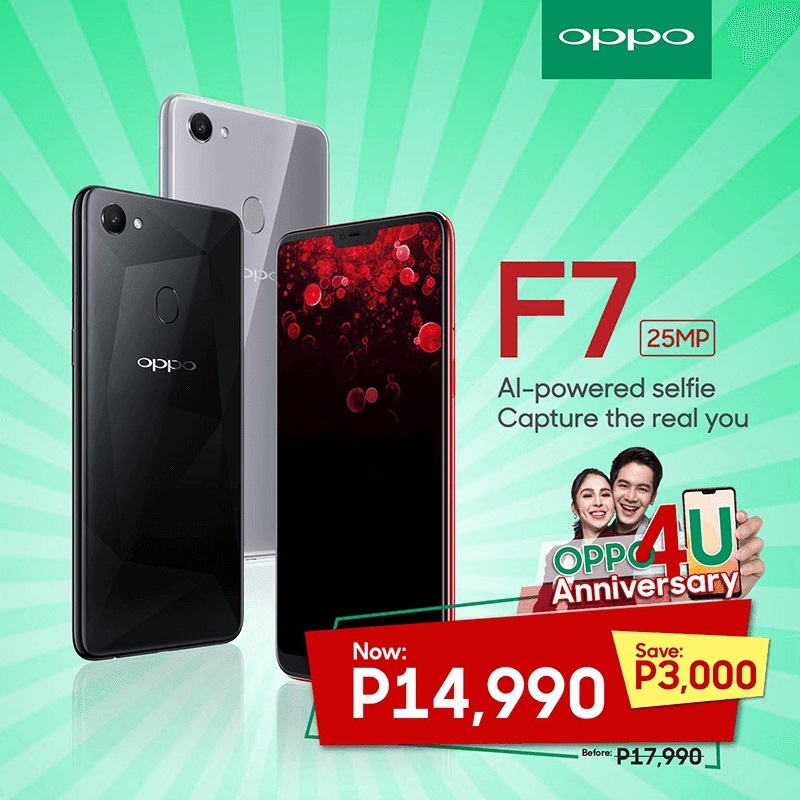 Home News OPPO Promos Smartphones OPPO F7 Drops Price to Php14,990! OPPO F7 Drops Price to Php14,990! OPPO made it’s A.I.-powered smartphone, the F7, more affordable to consumers after it dropped its price from Php17,990 down to only Php14,990. As part of the brand’s 4th anniversary in the Philippines, the F7 is now tagged with a lower asking price. As a refresher, the phone flashes a 6.23-inch FHD+ display with a notch on top of it. With this, the F7 delivers a 2280 x 1080 resolution with 19:9 screen aspect ratio. Under the hood, it is packed with Helio P60 processors coupled with 4GB of RAM and 64GB of internal storage. It boasts 3400mAh battery, too. The OPPO F7 runs on Android 8.0 Oreo with ColorOS 5.0.